Stifled by her narcissistic mother, twenty-four-year-old Samantha Hart is tired of putting her life on hold. Determined to find her own happiness, she volunteers within the community. Who’d ever guess her good deeds would land her in trouble? Frustrated and at a loss, Samantha decides a walk on the wild side might do her some good. Intrigued by the scandalous lifestyle of her dynamic coworker Cara, Samantha attempts to transform herself into Cara’s sinful image. But, as she finds her new path meaningless and hollow, she looks for someone with better judgment to steer her in the right direction, and it’s someone she least expects. Can Samantha trust a man who hates everything about her, or does he see beneath the bad girl façade? 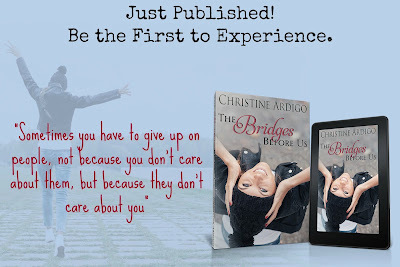 A romance like no other, The Bridges Before Us, teaches us to love ourselves, embrace who we are, and never change for the sake of pleasing others. Samantha ran out of the house and down the driveway. The distinct sound of the front door pulling away from its frame, followed. “You can’t just pick up and leave! What’s wrong with you lately? Where are you going?” Her mother stepped onto the front porch, a frigid aura surrounded her. Samantha careened out of the driveway and away from her home. She entered Jericho Turnpike and maneuvered along the congested road, blasting the stereo. Despite the chilly evening, she rolled her window down, and the wind rushed in, whipping her hair onto her face. She thrust her head out, and sang so loud and dramatic, you’d think she was an escaped psych patient. Drivers stopped to look. A few honked their horns or danced along, but most tossed dirty looks. Jerks. She gripped the steering wheel tighter. Her mother’s words cut through her again. The daily insults and attacks, followed by the deliberate guilt trip for never being good enough, caused her eyes to lose their focus as they grew with tears. How much more could she do for that woman? Was she that much of a failure? Twenty minutes and five songs later, her ears frostbitten and her throat dry, she pulled into a small shopping center. Rob Roy’s Deli called to her. Her car smashed into one of the many potholes created from the never-ending blizzards and she rolled the window back up. She flipped the hood on her black sweatshirt over her head, instantly finding security in the armor. She slammed the door closed, kicked her car’s tire, and screamed. She refused to shed another tear. Rage tore through her instead. Tired of being nice and people taking advantage of her. Tired of always doing the right thing and being the good girl while other’s walked all over her. She was done. After exiting the deli with a big fat tuna fish hero, she yanked her car door open. The sandwich rolled onto the seat, the paper unraveled, and tuna fish scurried out from the suffocating and confining bread. She wanted to escape, too. Maybe hanging out with Cara and Eryn would do her some good. Try ‘sinful and scandalous’ for a while. Nice was getting her nowhere. Hate your boss? Want to Strangle Your Husband? Be Glad Your Co-Workers Can Keep a Secret. 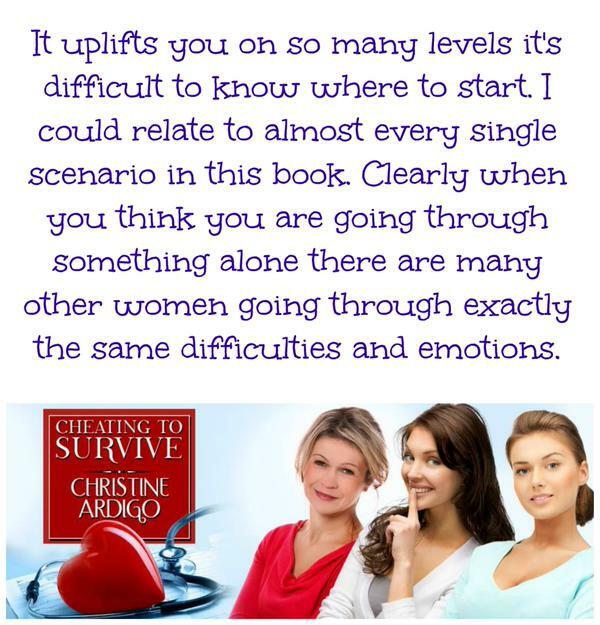 Can Cheating on Your Husband Bring Unimaginable Pleasure or Completely Destroy Your World? To her three daughters, Heather is a fun-loving, silly mom. Her co-workers at Norlyn Plains Hospital think she has it all, including a handsome lawyer husband. But when a flirtatious new doctor chooses Heather to spend his down time with, he reminds her of the man she regrettably gave up so many years before. Each interaction breathes new life into her and she gives in to the doctor’s seductions, threatening her fifteen year marriage. 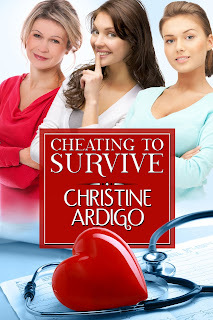 Her co-workers Victoria and Catherine, are stunned by her actions, but when they see the positive transformation in Heather, and question their own crumbling marriages, they wonder if she has the right idea. Can cheating on their husbands bring the three of them happiness? Or will they be destroyed by the consequences? Do you believe in second chances? Third? Fourth? Destiny’s determined to keep offering another shot...if they're brave enough to grab it. Heather, the quirky non-conformist, is the complete opposite of her conventional, yet highly sought after boyfriend, Lance. She doesn't know it yet, but her perfect boyfriend isn't perfect for her. When Nicolo, a vibrant new employee starts at her job, he ignites a fire inside her, and she finds herself second-guessing her boring future as a lawyer’s wife. Nicolo always questioned his purpose in this world, until Heather’s dynamic personality finds a way into his heart. She makes him believe he can conquer the world, while he gives her a glimpse at an adventurous future. Before they reveal their true feelings, a vindictive boss fires Nicolo, leaving Heather with no possibility of contacting him. Five years later, Lance, deeply engrossed in law school, has yet to propose. 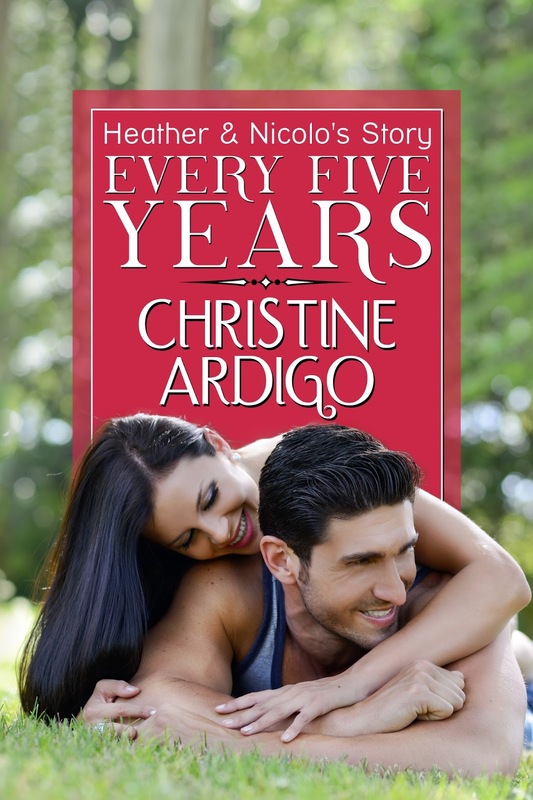 During a rare night out, fate reunites Heather with Nicolo and that old spark is still very much alive. Torn between losing him again and the emotions she can no longer suppress, they launch into a powerful love affair. Heather discovers passion and warmth, and knows she must leave Lance. With love this perfect, what tears them apart a second time? Fate continues to step in, as Heather and Nicolo cross paths every five years. 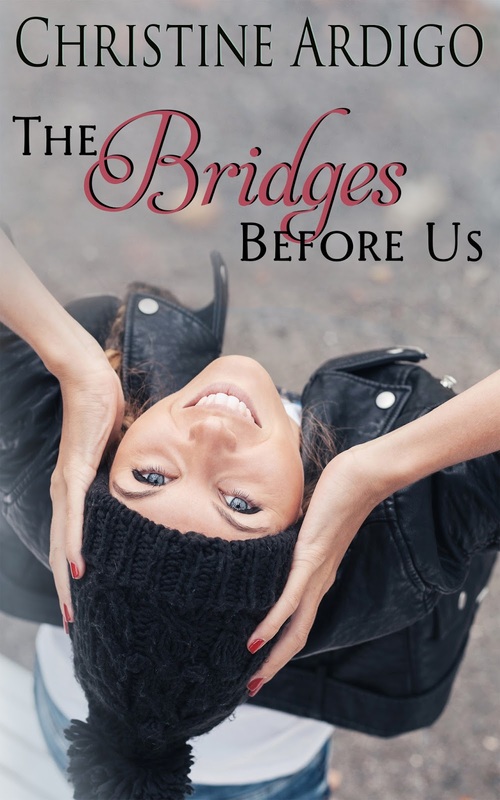 Will they ever fulfill their destiny, or will insecurities keep them apart? 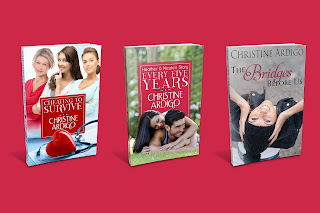 Every Five Years is a witty, heartfelt story of true love and what happens when life keeps getting in the way. She stepped back, but before Nicolo could throw it, a wave ripened and clobbered her. Heather’s head smacked into the sand. The crunch of her shoulder was the last thing she felt before the wave spun her. She attempted to stand, but before fully erect, another wave smacked hard, buckling her knees, and pushed her toward the sand. The taste of salt water burned her throat. Strands of hair coiled and blocked her vision. 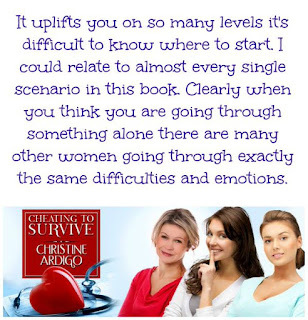 Heather struggled upward, unaware which direction she faced. A mounting wave walloped again. The taste of gritty sand in her mouth and the inability to see sent her into a panic. She coughed, spit, then pushed up on her palms one more time. She needed to escape. Now. Powerful arms swept her from the water's depths. With her toes flying over the foamy surf, Heather coughed and clawed the hair away from her eyes and mouth. He brushed the suffocating hair off her neck, pushed it back over her forehead, then gazed at her, silent. His hand continued to stroke her hair, and gently caress her face. Droplets glistened off his skin. Waves of black, slick hair dripped with seawater and landed on her chest. Feeling his magical fingers on her, seeing his face this close to hers again, made Heather want to taste his lips like she had imagined so many times in the past. “You scared me.” He ran his finger down the side of her face to her chin. Nicolo collapsed next to her on the blanket and snuggled in until the warmth from their arms merged. She tilted her head onto his shoulder, wishing he would wrap his arms around her. He rested his chin on top instead, and held her hand, squeezing it tight. Their eyes closed. School and work no longer occupied her mind. 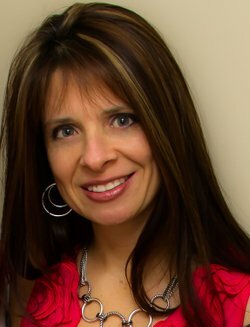 I’m a registered dietitian/personal trainer who writes contemporary romance novels in my spare time. When weight lifting, rock climbing, white-water rafting, and jumping out of airplanes wasn’t enough, I decided to fulfill a dream I had as a child: to write a book.